Still no FO photos of Rosedale United. They've been taken but I don't foresee a spare minute to upload them in the next few days. There's also no significant progress to report on the Duster since I have some finishing (cue ominous music) to do before I can work on it again. So instead....I thought I'd distract you with the fact that I started Autumn Rose. Before you judge, look at this. How could anyone resist such a beautiful pairing of colours. Alright, I have another confession. I also have the yarn for this. It's been in the stash for the last 8 months or so. 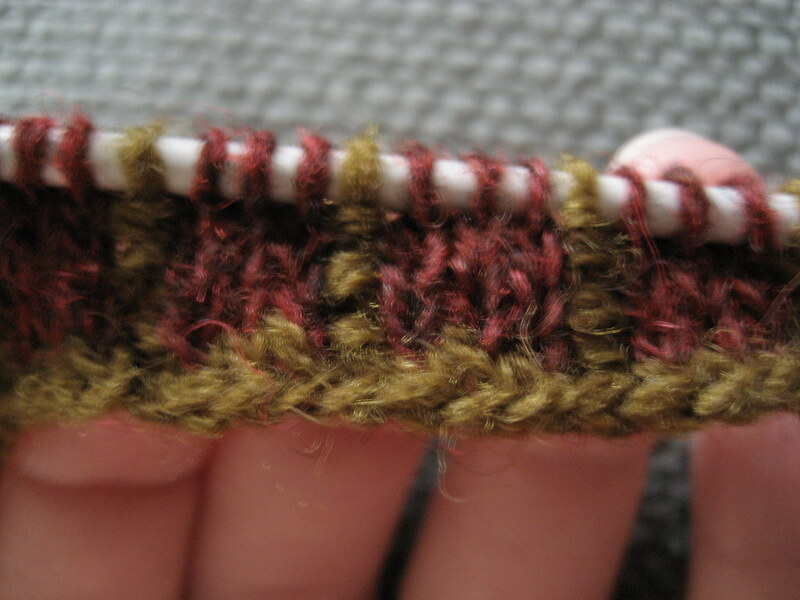 I tentatively considered swatching for Venezia one day. After casting on 3 stitches, I became paralysed with fear. Fear of the fine gauge. Fear of the pattern. And fear of fair-isle. Who was I kidding, I knew nothing about fair-isle. I've only made one measly pair of stranded mittens where the floats were, shall we say, a little snug. Snug enough that a sweater knit with that sort of float would have zero stretch and may even stand up unassisted. 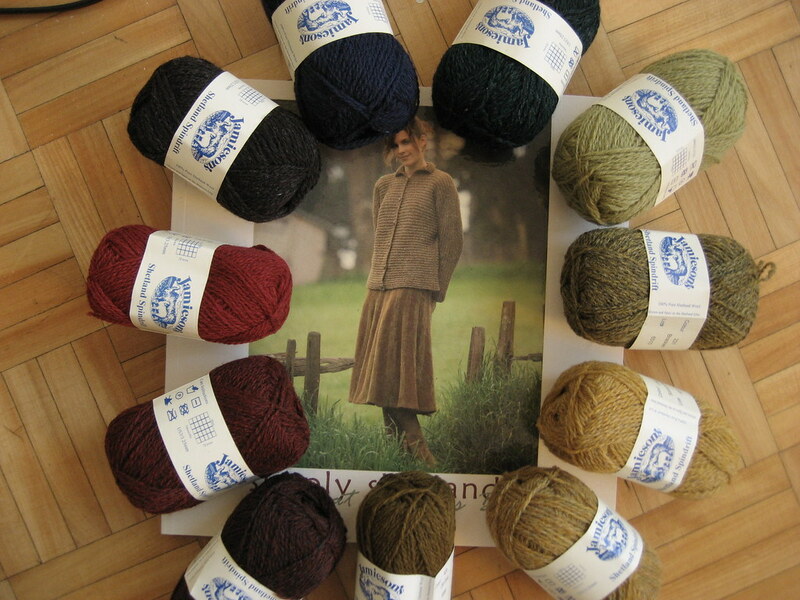 Originally, the plan was that I would knit Eunny's Deep-V Argyle Vest first. The two colours, the larger needles, the lack of sleeves all made it seem like a good warm up project. After being hit by some serious yarn fumes, I ended up here. I've rationalized ignoring Venezia starting with Autumn Rose by convincing myself that it will be easier than Venezia. It has a huge scoop neck that minimizes the need for fabric that has any sort of give, and it only has 1 steek to cut, instead of the 4 on Venezia. Hopefully you won't tell me otherwise. Alright, I'm terrified all over again where's that Duster? Posted by Amanda at 1:59 p.m. BUT - the colors for both of those projects look great! August 28, 2007 at 3:41 p.m. I'm way impressed by your courage to cast on for such a stunning Fair Isle-project, seeing as it's going to be your first "real" colorwork! But I'm sure you're doing fine with it, and even if it'd give you some hassles here and there, the result will be so worth it in the end! The colors you've chosen for both projects are amazingly beautiful - good luck, and I'm looking forward to seeing many progress pics! September 3, 2007 at 7:47 a.m.
Don't be scared of colorwork! Just keep your tension even and pay attention. It is so much easier than it looks once you get the hang of it. September 11, 2007 at 10:28 a.m.